A new tablet created by the Taiwanese manufacturer Elitegroup Computer Systems (ECS) has arrived at the FCC this week indicating that the tablet will soon be available to purchase throughout the US. The latest tablet from ECS takes the form of the ECS mPad tablet which comes complete with stylus support and a 12 inch LCD display offering users a resolution of 1920 x 1200 pixels. The new tablet is available with a number of different options including 2GB to 8GB of RAM and 32GB to 64GB of eMMC storage. 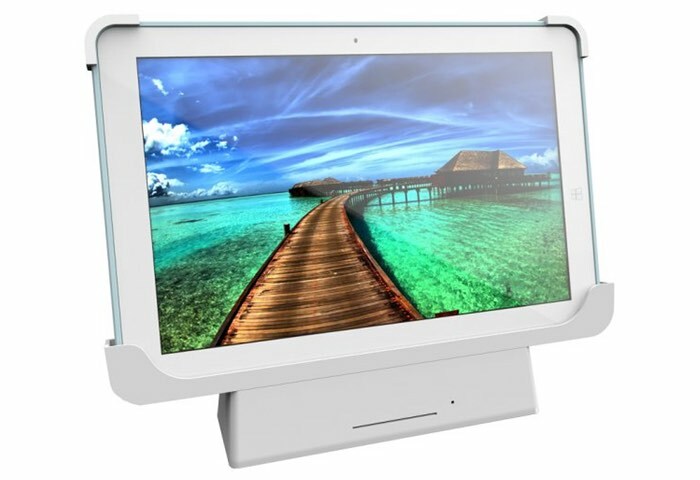 Its powered by Intel Atom x5-Z8550 Cherry Trail processor and connectivity is provided by both Bluetooth 4.0 as well as support for wireless 802.11a/b/g/n/ac connections, together with GPS and NFC. Unfortunately no information on pricing or worldwide availability has been released as yet ECS, but as soon as information comes to light we will keep you updated as always.